Anyone interested in an AW11 rolling shell? It's an Australian car, I'll be taking some of the interior bits, seats, and a few body panels so almost all mechanical parts (engine, transmission, brakes, suspension etc.) will be included. Car is located in Melbourne Victoria. hey man would you be interested in parting just the front bar reinforcement. 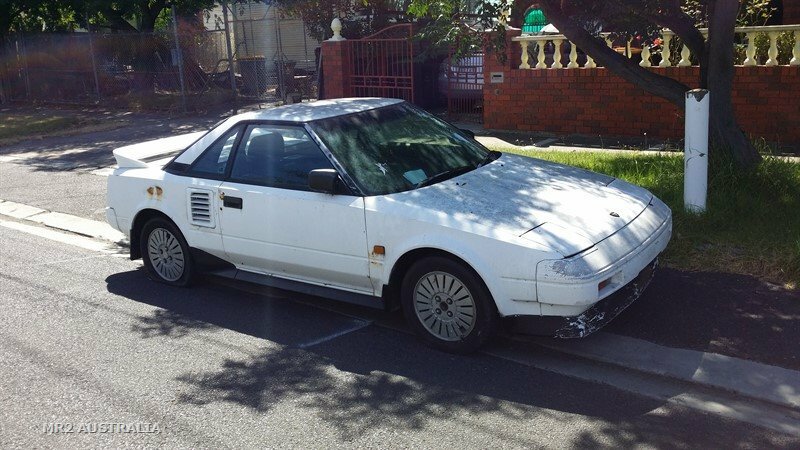 i really want to fix my mr2 but ive looked everywhere for it to no avail. Only looking for a couple of hundred. Hey mate, located in Melbourne, i'll send you a pm. Thanks for the interest, this is now sold.